SANTA CLARITA, Calif. - March 15, 2019 - PRLog -- The Storm is excited to announce and Welcome its newest member of the Storm family of Partners and sponsors. Wingstop with three (3) restaurants in Santa Clarita (2) on Soledad Canyon and (1) on Lyons Ave. makes it convent and never too far to "Stop for Wings" Wingstop in Santa Clarita since 2006. Wingstop features a large menu of your favorite wings, tenders, dips and side dishes. You will find this year's Wingstop Menu specials, including prices for wings combo, classic and boneless wings by the piece, combos with two dips, seasoned French fries, fresh baked rolls and more. Check out the full list of the Wingstop prices you can find at their restaurants around Santa Clarita. Browse Wingstop Menu Prices and Specials. Check the Wingstop Restaurant Menu, Breakfast Prices and deals, coupons, and Wingstop Nutrition & Calories. Customers who usually eat at Wingstop know that the Wingstop menu provides a wide selection of flavors to go with their wing dishes. Sweet and heat combinations, extra hot flavors, BBQ and Cajun are top picks among regulars. Those who feel for a little extra something to accompany their meal can opt for a number of sides on the Wingstop menu such as fries, beans or something cooler like a side of well-proportioned coleslaw. And to cater to everyone who is looking to balance their diet, Wingstop offers side of veggies as well, with dip. Offering the fair number of wings, a substantial and interesting variety of sauces, fresh and good quality ingredients, the Wingstop menu prices have a competitive advantage in the American fast food industry. Wingstop keeps its prices advantageous while also throwing in some pretty good deals during weekdays. 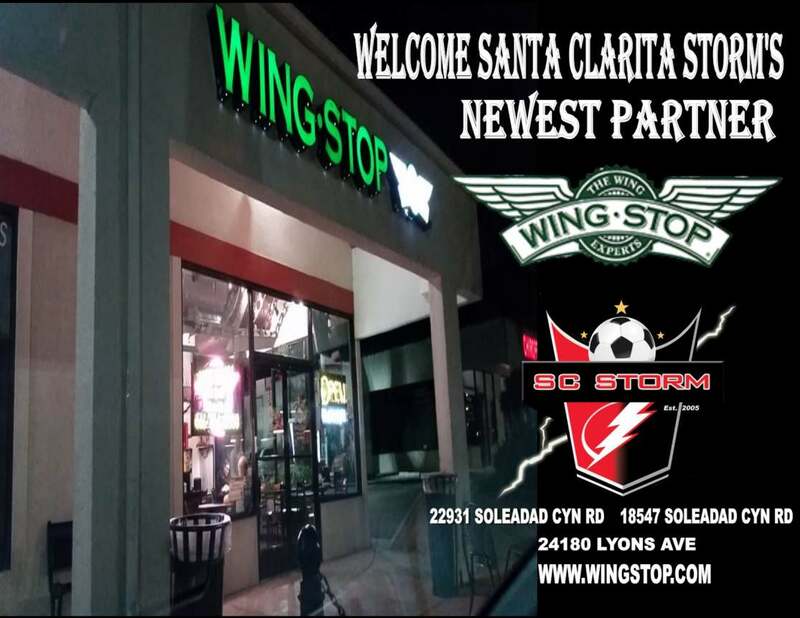 Your Santa Clarita Storm will feature from time to time the Wingstop in-store specials as well as online promotions on the Storm social media Facebook, Instagram, and Twitter as well as the Storm Website. Wingstop three locations in Santa Clarita are 22931 Soledad Cyn road, 18547 Soledad Cyn Rd and the third location on Lyons Ave at 24180 Lyons in Santa Clarita.